Many of you have probably already seen the previews to this movie. I just saw one myself a couple nights ago. I MUST SEE THIS MOVIE! Especially now that I've read the book! Such a moving story. The strength and courage this human being needed to get through a horrifically painful event in his life was only by the grace of God. This book is based on the movie so it's all in there. 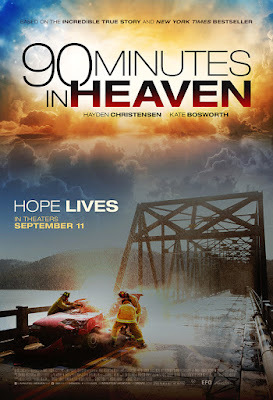 90 Minutes in Heaven hits theaters on September 11, 2015! Check and see if it's playing in a theater near you.